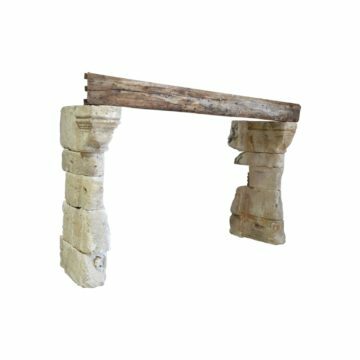 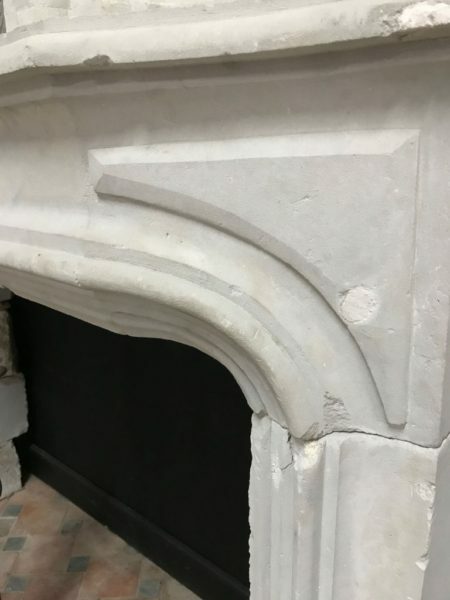 Antique French tuffeau limestone fireplace. 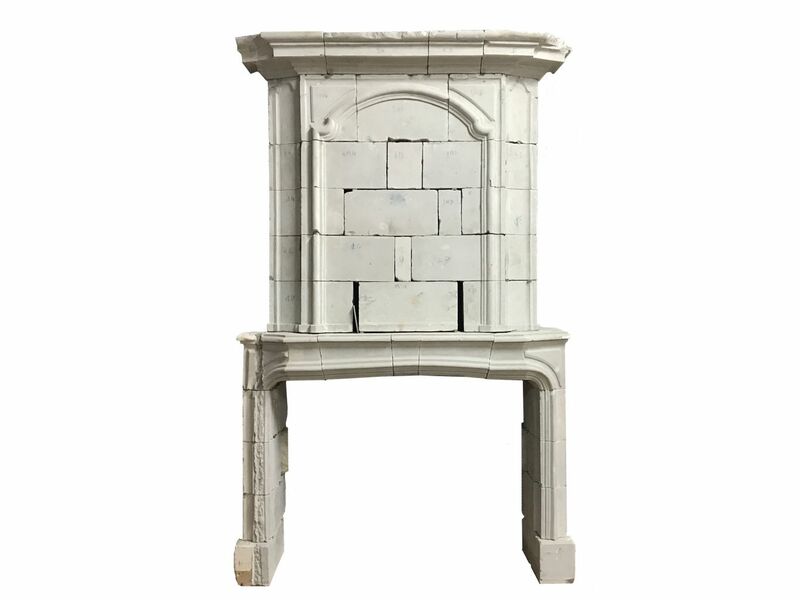 Carved in France’s Loire region tuffeau white limestone, this antique chimneypiece has an overmantel. Tuffeau is a relatively soft limestone that easy to carve with fine detail, and is the classic stone of Loire Valley chateaux. 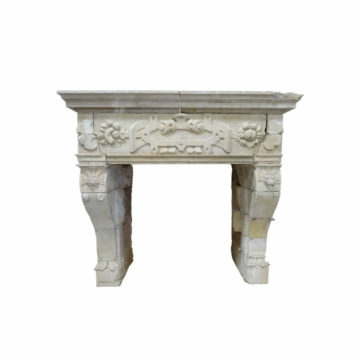 This particular fireplace is in the Louis XIV style and comes from the Angers area near BCA’s main premises. 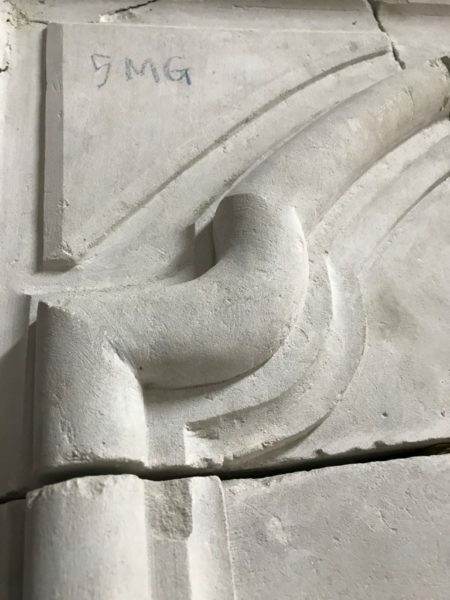 Overall width is 1800 mm x front to back 600 mm. Firebox : height below lintel 1060 mm x width between side jambs 1430 mm. 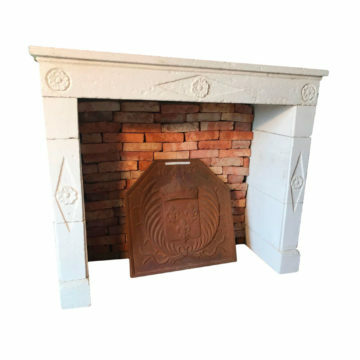 Overall width is 71 inches x front to back 24 inches. 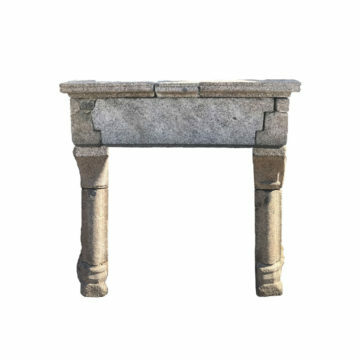 Firebox : height below lintel 41,7 inches x width between side jambs 56,3 inches.